The EasterEgg Mod hides 32 different eggs around your world. They can either be big or small and can be found anywhere. This mod is just in time for the easter holidays, so there is really no better time to download and install this mod. So what are you waiting for, download this mod today and enjoy all that it has to offer. There is currently no public video showcase for the mod. But these are more than just random eggs for you to find. Each egg contains a surprise if you click them. There are more than 200 random drops so there’s fun in finding the eggs themselves as well as discovering what’s inside! If you shift+right click the eggs they will drop normally and you can then carry them with you. You can then place them again to open them up or keep them on a shelf for decoration or chest for storage. 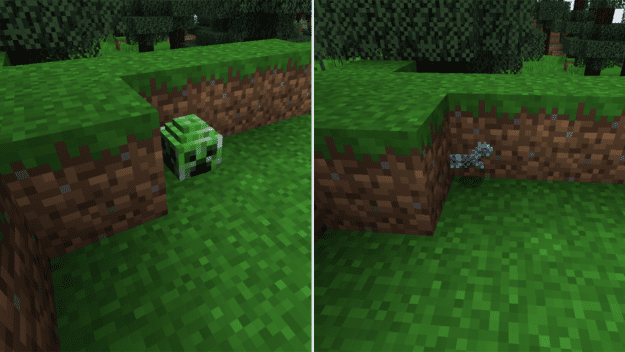 The latest update for the EasterEgg Mod ported it to Minecraft 1.8 and also added in range of new items.